Everyone has their own road which leads them to retirement. This road may include challenges and obstacles along the way which demands attention and guidance. Regardless if you are just beginning your career, have been in the workforce for some time, or thinking about entering retirement, the actions you are currently taking are affecting your finances down the road. Hello and welcome to another episode of Money Script Monday. 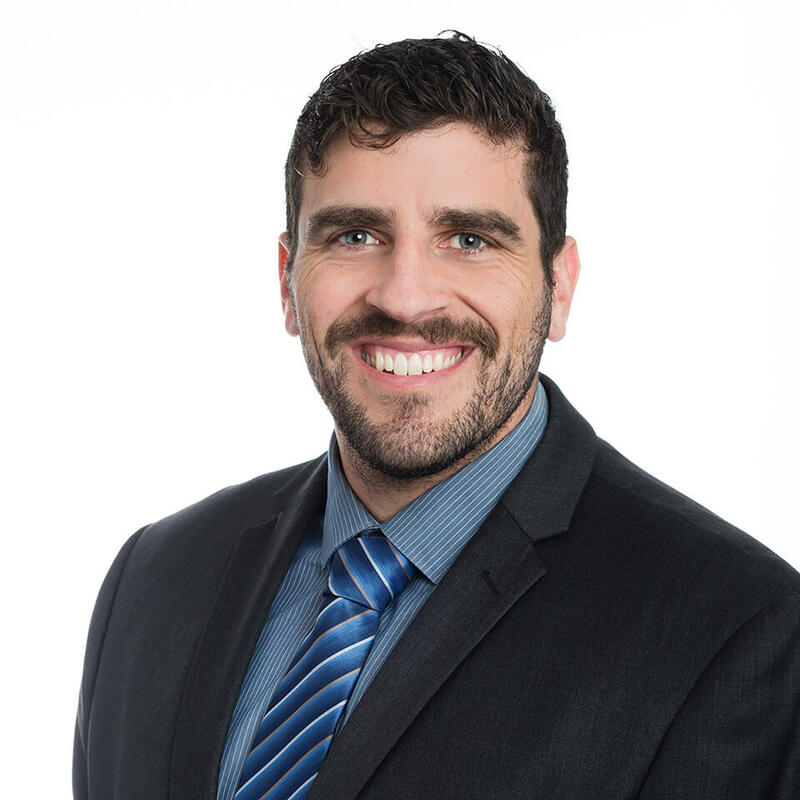 My name is Luke Geller and today, we're going to be talking about 3 questions that you need to answer before retirement. Now, retirement's a scary thing, right? When you're standing at the ground floor and looking up at this mountain that is retirement, it's a daunting task. It's stressful and it's something that can be overwhelming at times. Talking about different questions that you should answer. Talking about the swing versus the club. 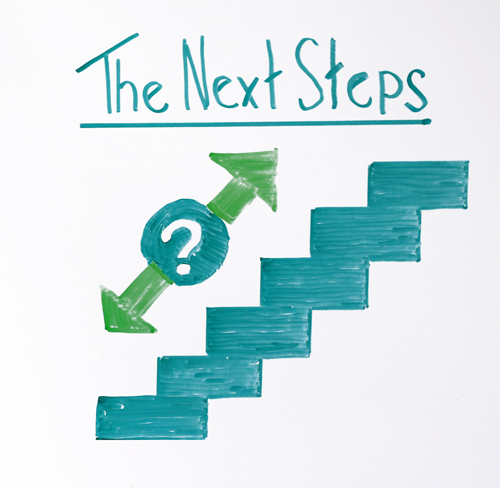 Talking about these next steps to take. We begin to relieve some of that stress and take away from that daunting task and hopefully help you breathe a sigh of relief here. When you think about retirement, first I want you to think about the game of chess. When you're playing chess, whether it's the first move you make or you're getting close to checkmate, you need to consider the moves to follow. You need to think ahead, you need to think about the strategy of what you're currently doing, and how that's going to affect the future of this game. It's the same thing with retirement. When you're making moves, whether you just entered the workforce or in your prime working years, or are on the doorstep of retirement, you really need to think about what you're doing today and how that's going to affect your future. We're going to start out with what questions to ask yourself for retirement. The first one I want to go over is what's my current situation? Where am I currently at? This question is really a surface level question that's going to lead to a lot more questions that are deeper and you really need to be able to answer. When you ask yourself what's my current situation or what does that mean? Where am I currently at towards retirement, how close am I to retirement, again, did I just start working, am I in those prime working years or am I on that doorstep? Then once you hit retirement, what do you need to have to be comfortable during retirement. Once you can answer those questions, once you understand where your current situation is, only then can you ask yourself this next question. Are you a risk-averse investor? Are you the type that wants to throw it all on black and let it ride? You need to be able to answer that question so you can see how much money you want to put in equities, how much money you want to put in a conservative type investment. So you can understand a little bit more about yourself and the type of investor you are. The only way to do that is to go through that first question and to understand and be honest with yourself about what your current situation is. 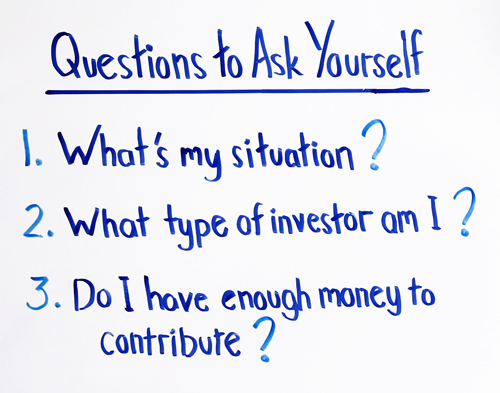 Once you can answer those two questions then you can ask yourself well, do I have enough money to contribute? If you know where you're at currently, how much money you want to get to, well, what can you contribute? Is it even possible? Where can you be? Based on the type of investor you are, maybe you need to contribute a little bit more, maybe you need to contribute a little bit less, maybe you can think about different types of strategies that you can use. One thing I always ask a client is if you were to stop working today and you cannot work for the next 20 years, would you be able to survive off the money that you currently have for the next 20 years? If you think about it, that's retirement, right? When you retire you are stopping working for the next 20 years and living off of the money that you have saved up. When you ask yourself that question and think about it, that can be a little bit scary. That's why you want to be able to answer these questions ahead of time so you can breathe a little bit of sigh of relief knowing at least what your current situation is and what you need to do and what you need to get to in order to be in the situation that you want to be in. Once you can answer these questions, once you can look at these three questions and honestly answer them, then you need to think about golf. 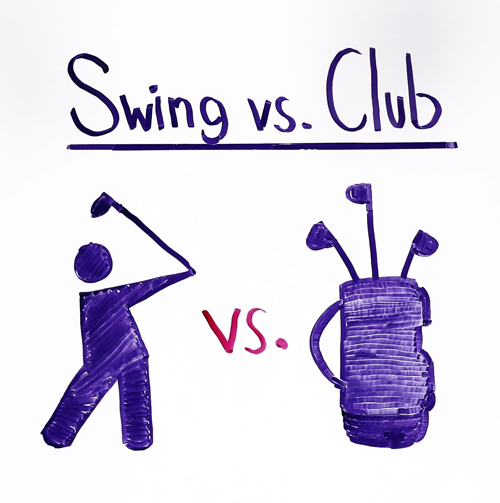 What I mean thinking about golf is you need to think about the swing versus the club. Now if you're a golfer and I were to say, "I will give you for free the best clubs in the world, any club that you want in the world to help you shoot the best score possible or I can give you the best swing in the world to help you shoot the score possible," what would you rather have? Well, the answer is the swing, right? If you have the best clubs but you can't hit a ball, the ball's still not going to go anywhere. You're still going to be stuck where you started. It's the same thing with a retirement strategy and a retirement plan. There are so many products out there, there are hundreds of different carriers and financial investments and different products that each one of these have. Whether you're going with different insurance carriers, different investment platforms, different this and that. All these different products, there's so many of them out there. But if you don't have the right swing, if you're not on the right path, if you don't have the right strategy in mind that's based off of these questions that you answered earlier then you're not going to be able to get to where you want to be in retirement. So, you really want to think about, you know, making sure that you have that right swing. Well, how do you get that right swing? Well, if we're likening it to golf. If you don't have a good swing you could of course go online and go on YouTube and look up all these different swing videos and spend hours and hours watching or you can go to the range and find a swing coach. You can find a coach to help you with your swing and help you perfect your swing and probably do in an hour what would take you months to do on your own. It's the same thing with your retirement plan. If you find that advisor, that expert that knows exactly where you're currently at, knows what you're doing, knows where you want to be. Then they put you on a strategy, they put you on the right path and give you that right swing, then that's worth so much more than doing all this research on your own, trying to figure this all out on your own. There's a reason that there's experts out there. How do you find that right person for you? Well, one, you want to make sure the advisor you're working with has you on a specific strategy. They aren't just recommending product. Some of the best advisors I've seen in the world don't even talk about the product. They talk about the philosophy behind the product and based off of each individual client, they talk about what's the best strategy for that client. Based on their age, based on their goals, based on their salary, where they're at now, where they want to be, that's how you put together a full financial plan. Once you understand what strategy that you should be on, and once you understand that you need to have that proper swing and what your proper swing is, that's when, again, you finally breathe that sigh of relief. When you're looking up that mountain and you have a Sherpa helping you up the entire way that's when you are so much less stressed. And that's where we want to get, right? That's where we want to be once we're getting to retirement. Whether you're just started in the workforce or in those prime working years or about to retire, you don't want to be stressed about it. 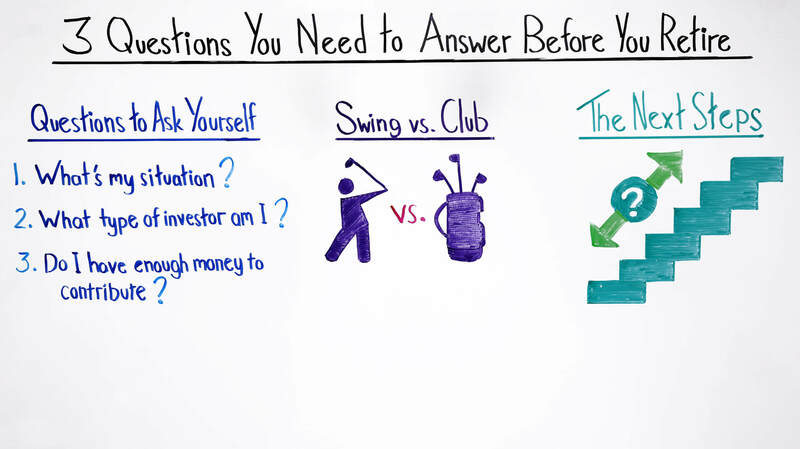 You want to make sure that you're on that right strategy, you have that perfect swing, and that you can answer these questions to get you to the right path. After today, think about that. I want you to answer these three questions for yourself, and ask yourself if you have the right swing right now and how can you get that right swing. My name's Luke Geller and thank you for attending another episode of Money Script Monday and we'll see you next week.